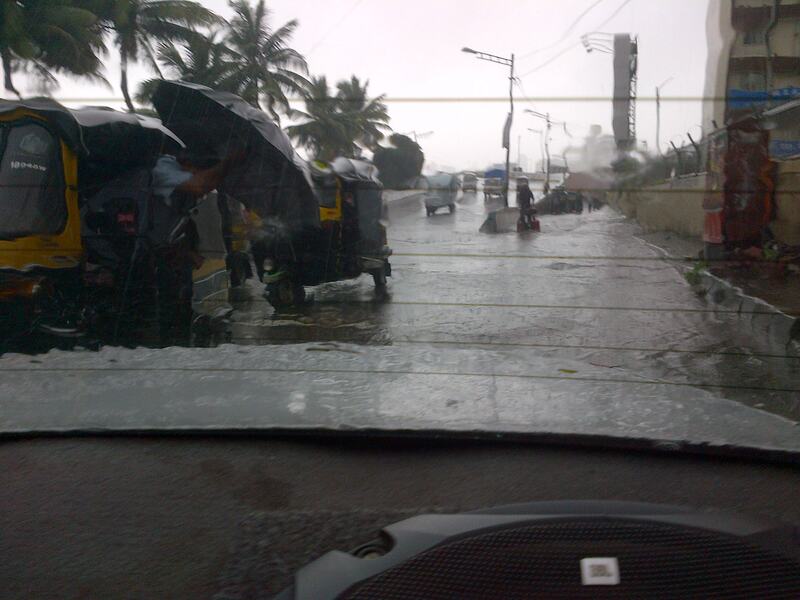 We returned to a decidedly wet Mumbai still very much in the midst of monsoon. In an amusing moment, just days after leaving Winnipeg, I was reminded of Manitoba at the most unlikely of places – a Mumbai spa! While I enjoy little indulgences and luxuries, I rarely prioritize such activities. Most days, basic grooming suffices with self-trimmed nails, no polish, skin and hair that gets the most rudimentary daily cleansing and moisturizer. I’m not fussy about getting ready and can go from a slovenly state to shower, make-up, clothes and out the door in 20 mins or less if required! A dear friend of 20 years, by contrast, delights in pampering and makes a point in her annual visits to Mumbai to fit in spa treatments. We normally have a month or so together each year, so it is a ritual that at least one mani / pedi / hair spa visit is made augmented by calling a masseuse home a couple of times. This year between her arrival date / conference in Mysore and my Canada vacation / unexpected contract in Indonesia, we only have a few days together. Undaunted by time constraints or inclement weather, she declared we are getting a “hair spa” treatment and pedicure at a minimum. Even better, she booked the appointment and ensured I was whisked away to enjoy the experience within 24 hours of decision! We were even nearly on time despite my protests of “I just need another minute on this email!” and the rising tide of water on the roads with non-stop rains. After a blissful head massage and sloughing away probably a year of dried skin on my feet, it came time to decide about nail polish. I was about to decline when the colour “Mauving to Manitoba” was suggested. Considering I’m from Manitoba and we had just returned from there a few days ago – how could I resist? So now I’m off to Jakarta with “Manitoba mauve” toenails! What is the most unexpected place you’ve been reminded of another place entirely? By Carissa Hickling in Canada, Every day, India on July 26, 2013 . My toenails are currently bright blue in a departure from the normal pinks and reds. I think next time I will return to that color family. Enjoy your pedicure! How fabulous! Am sure it looks great on you. 🙂 Me and my pedicure are having a grand ol time and about to hit the airport!